The Nilfisk SC351 compact walk behind scrubber/dryer offers both forward and backward scrubbing and drying with an impressive brush pressure of 27 kg. 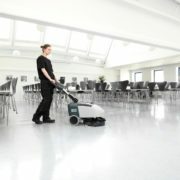 Easy to see how useful the SC350 is for cleaning in crowded places, between and behind tables, shelves, furniture and in other less accessible areas. 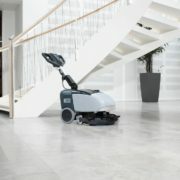 Drop the mop and achieve remarkable results with Nilfisk SC351 compact walk behind Scrubber/Dryer. 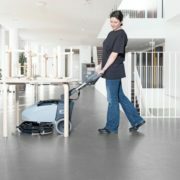 The Nilfisk SC351 offers unique performance in a small and handy machine that folds for storage and has superior manoeuvrability. 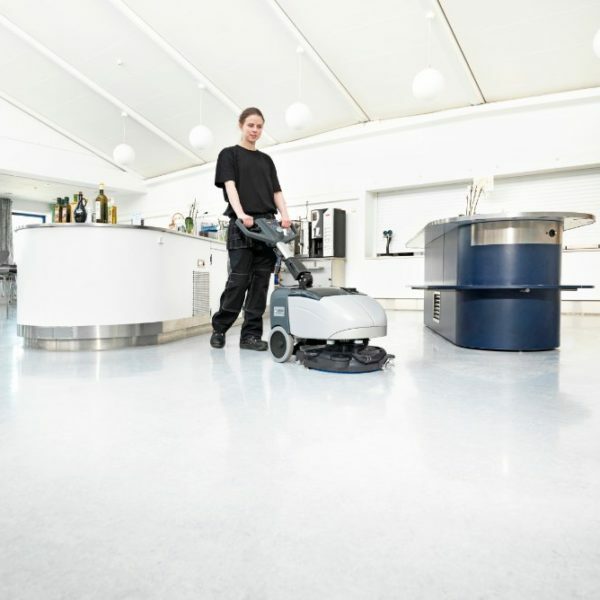 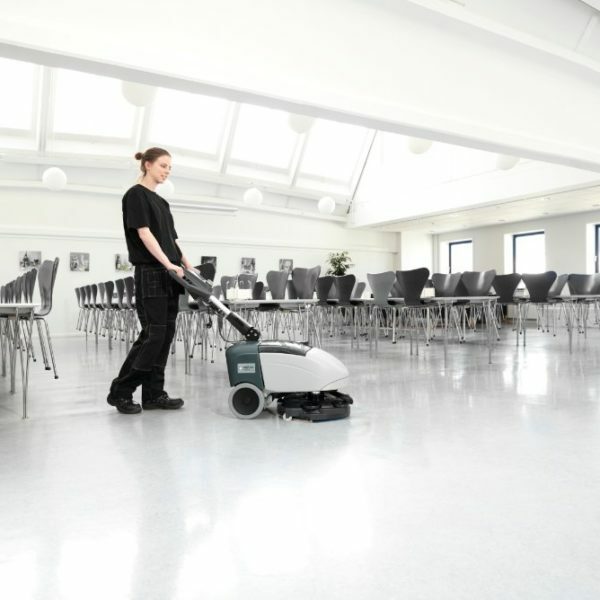 With powerful forwards and backwards scrubbing pressure of 27kg and 370mm brush diameter the Nilfisk SC351 is Ideally suited for cleaning hotels, schools, small shops, offices, canteens and coffee shops. 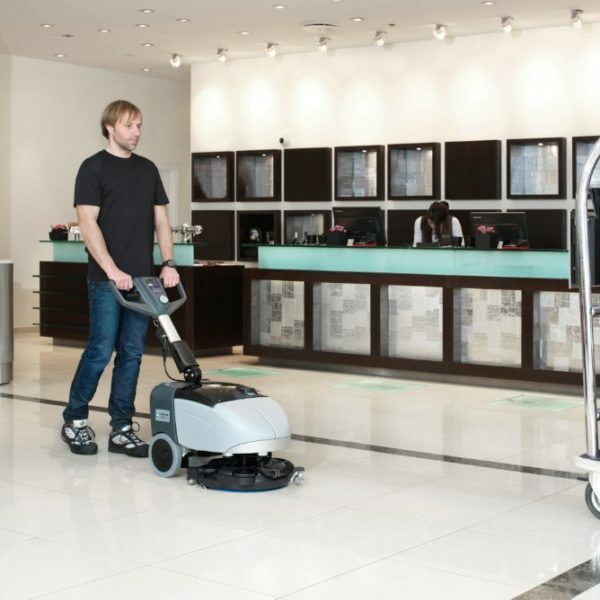 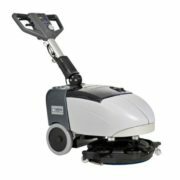 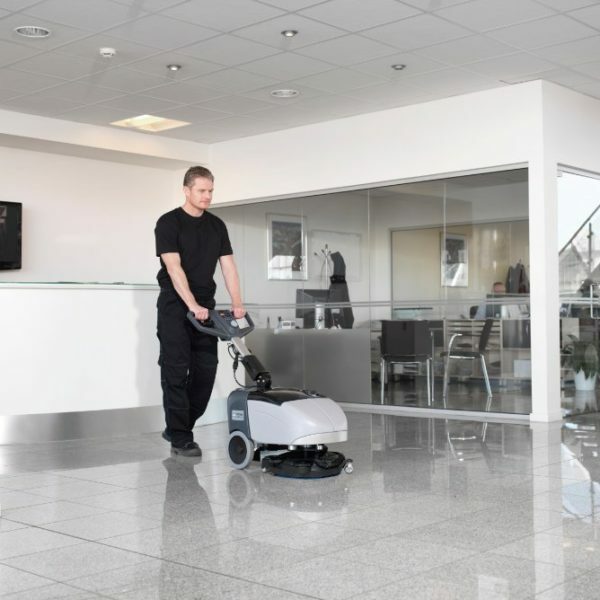 The Nilfisk SC351 compact walk behind scrubber dryer adds next generation performance to a century of Nilfisk traditions for trusted and reliable cleaning equipment.